there is something so undeniably satisfying in seeing a dream through to reality! 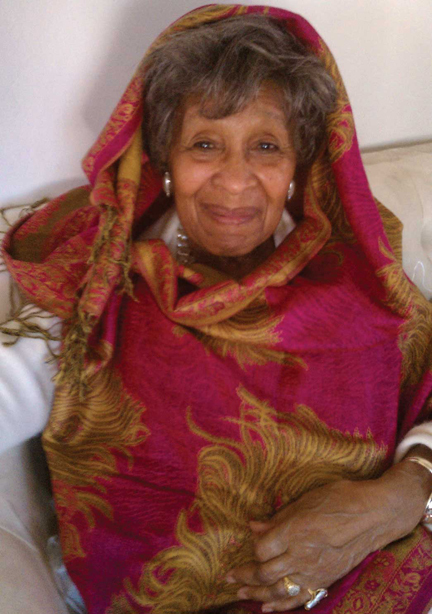 back in february, i lost my dear grandmother at the wise old age of 92. among some of her possessions which i was honored to receive, were two chairs which i can distinctly remember being used by my grandparents. 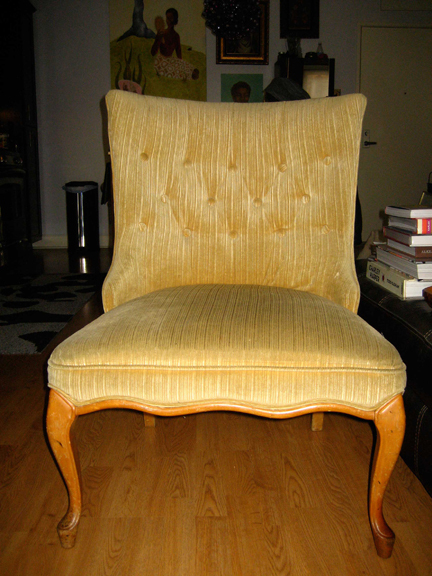 my grandfather’s chair was swathed in plastic slipcovers, a throwback to the 40’s and 50’s. the result was pristine upholstery ready for entertaining or, as in the case of my grandfather, long hours of reading. gran’s chair didn’t fare so well and was in need of some tlc. well, it took a lot of back and forth with spoonflower, multiple strike offs and adapting to new color profiles mid stream but thanks to their great customer service, the result was perfect yardage! 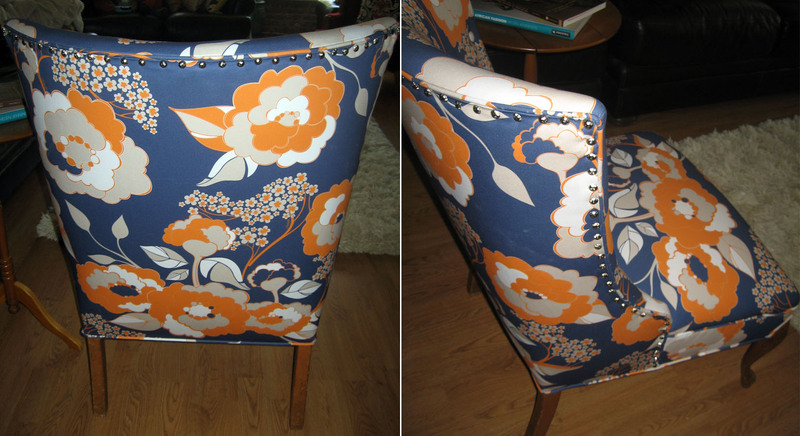 now that i had the fabric, i really needed a professional hand to take on the task of doing the actual upholstery. enter ernie and his son john of e&l a1 upholstery. after reading the reviews and seeing images of their work on yelp, i was satisfied that i had found caring individuals who would provide the best hand at restoring my heirloom. they did an amazing job and were incredibly reasonably priced providing both pick up and delivery with quick turn results! i am jonesin’ to do more furniture and look forward to working with these gentlemen again soon with the next pieces going up for sale! the only thing that could have made this sweeter was if my grandmother was here to see it…. 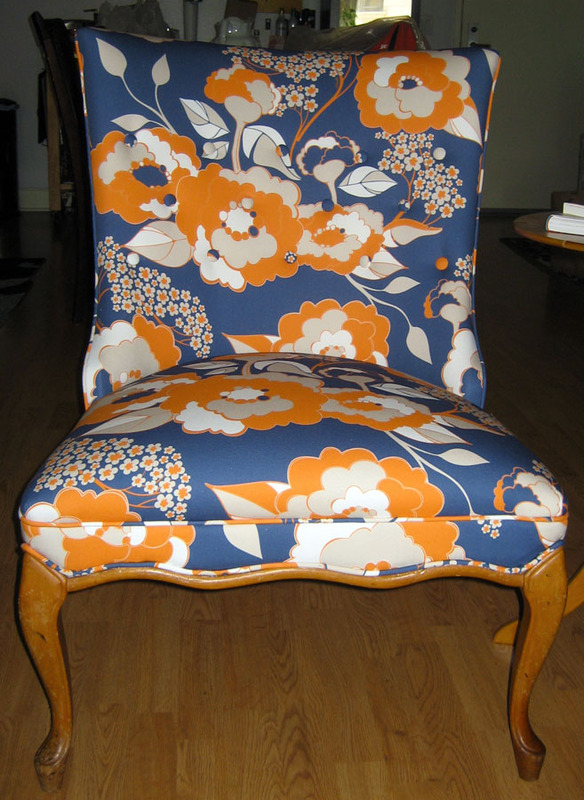 The chair and fabric are absolutely beautiful Janene and so is your gran!! I can totally relate! We did the same thing with my husband’s Grandma’s chairs.